Another month has passed me by and with it came both sunshine and storms, both literally and metaphorically. How poetic! The more astute among you will note how late this is. Time got away with me, ngl. My June favourites will be up next week but, until then, let's cast our minds back a little. 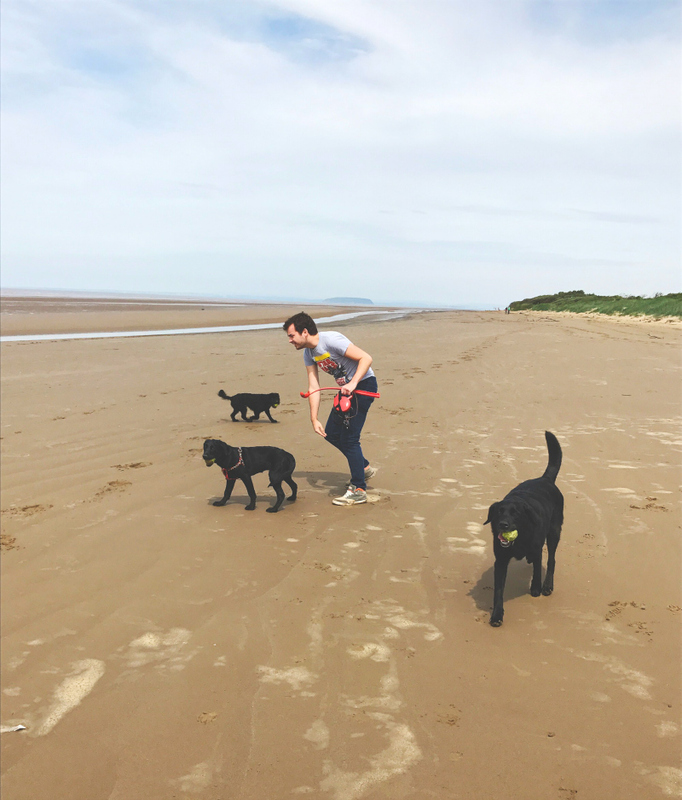 In May, I was coveting a refreshing beverage, an old bit of clothing and time with the floofs. What were you enjoying last month? If April was all about Hard Times, May was all about a dizzy mix of Told You So and Rose Coloured Boy. The latter is a bouncy track that is perfect for hairbrush singalongs, due to its punchy pick-up-in-a-couple-of-listens lyrics and The Go! Team style screams. If it were 2005, my MSN personal message would definitely be, 'I've forgotten what was left of the optimist in me'. That, pals, is high praise. I need to listen to the album a little more before I declare further favourites but, for now, I'll continue my 3 song loop. After a spell of hot weather took us by surprise in early May, I went in search of some summer-friendly shoes. I'd been eyeing up clogs for a fair few years, but couldn't stretch to a pair of Hasbeens, so I took to the internet to find a pair that I could even vaguely afford. I eventually settled on the Low Wood Brown Oiled Nubucks from Lotta from Stockholm. I'm not one for tan, usually, but I figured it was a colour that went with most others and they had Lyzi's approval. I've worn them several times over the past two months, styled up with a smock dress and pair of jazzy socks, and I am really loving them. They're comfy and easy to walk in and they let your feet breathe. 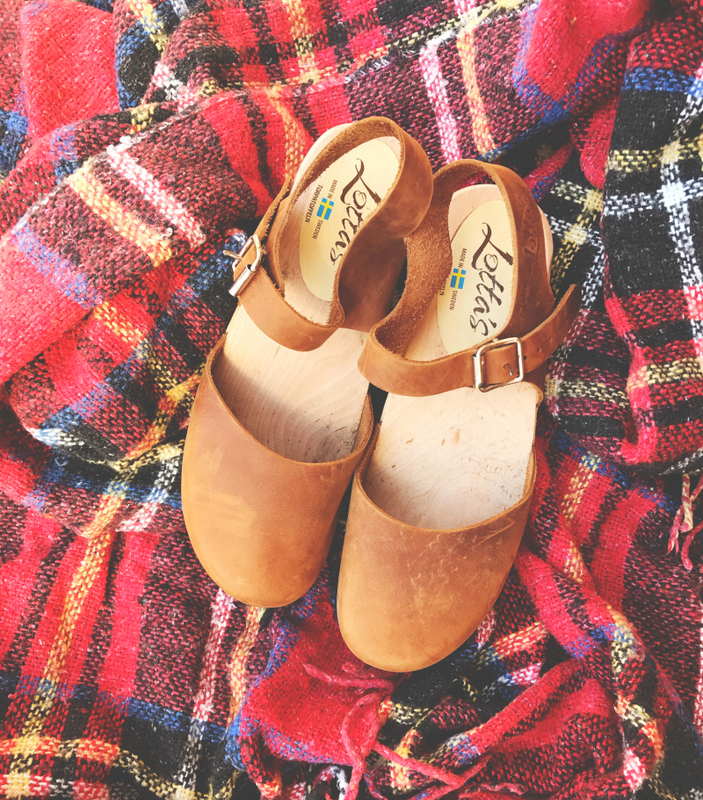 If you're looking for a clog-related bargain, Lotta have a great sales and seconds section for you to peruse! Oh, and they also have a line for littles and a Vegan line too. 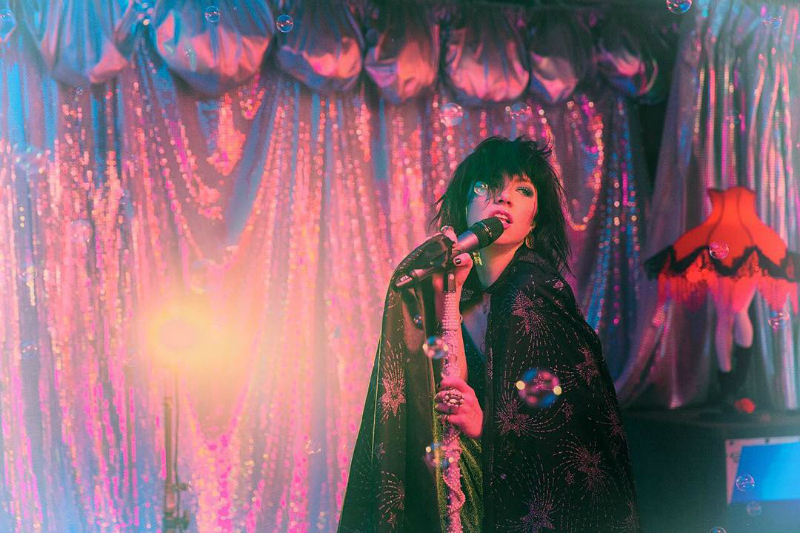 Carly Rae showed up last month to announce the true start of summer with fresh-out-the-oven banger 'Cut To The Feeling'. Just when we all thought Carly Bae had swept every little strand of delicious pop from the E.MO.TION floor, she comes out with this offering that Pop Justice referred to as being 'epoch-defining and pivotal in our understanding of the human condition'. What a woman. What a song. 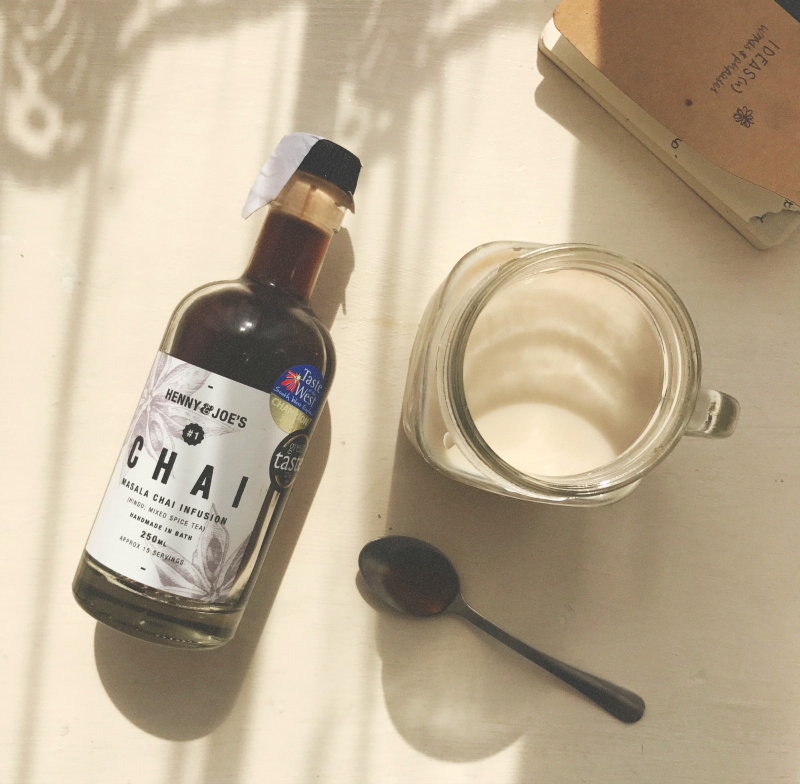 I found myself at a local food and drink market one weekend and ended up returning home with a bottle of this chai concentrate from a company called Henny and Joe's that are based in Bath. I've been spooning this stuff into tumblers of cool apple juice and jugs of milk in order to stay refreshed in the warmer weather. It is so good! They use 100% natural ingredients, have won multiple awards, and their products are also Vegan friendly, so everyone can hop onboard the bandwagon. On one of the sunny afternoons, we let all three dogs hang out together and cause chaos for a while. We strolled down to the beach, had a lengthy game of catch and then returned to laze around in the sunny garden. Poppy spent about 90% of the time playing kiss chase with Woody. Jessie thinks they're both ridiculous. She is probably right. 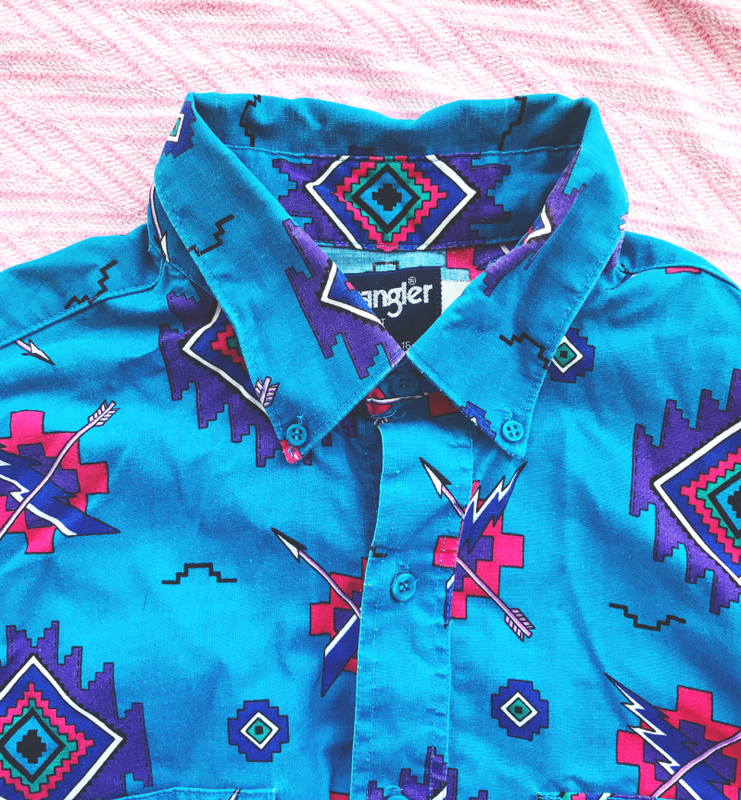 My Wrangler shirt saw a lot of action during the month of May, especially when the weather wasn't entirely sure what it was doing, so I thought that it was only right that I shared it with you. I picked this jazzy little number up from Chinese Laundry in Goodramgate when I swanned off to York back in February (check out my guide to York if you haven't already) and it has been a staple in my wardrobe ever since. Everyone has their 'thing', right?! Some people like shoes. Some people like bags. I like shirts that look like they've fallen out of your eccentric-aunt-that-disgraces-herself-at-family-gatherings' wardrobe. 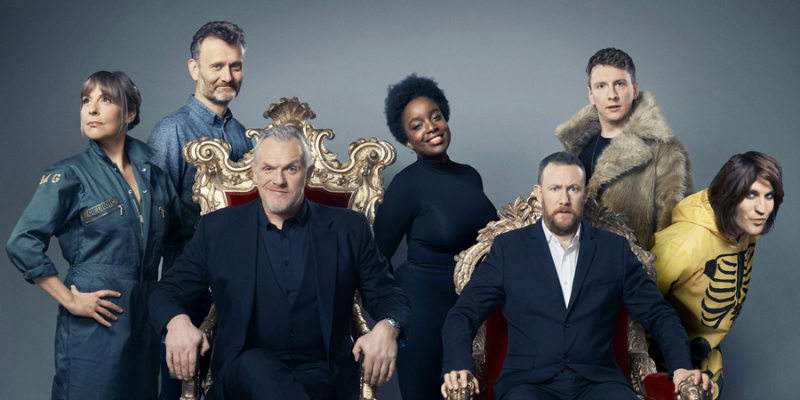 Taskmaster is one of those shows that unites my entire family in the living room whenever it is on. Each week, the celebrity contestants are set a series of bizarre and comedic tasks that they have to complete individually in hopes of scoring points against their fellow competitors. The results are usually quite something. It's creative, light-hearted and I have decided I want to be Lolly Adefope's friend. Check it out on Youtube or wherever. 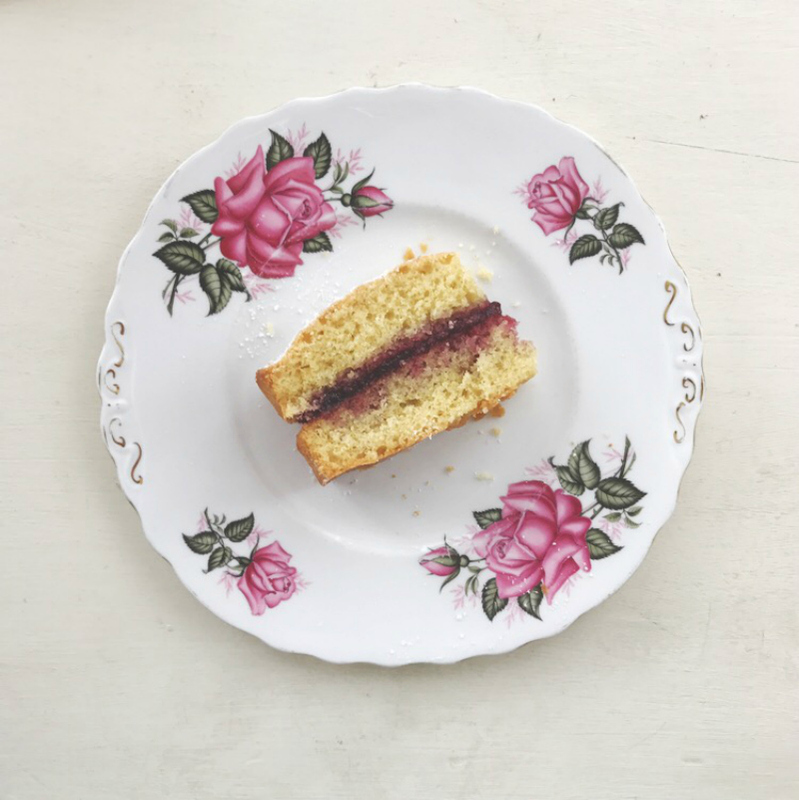 Grandma makes a great Victoria Sponge. I like to eat it. I can't expand much further. Although, bit of trivia for you, she recently had to bake an entire cake just for my consumption because she made a meat-based bet with me and lost. If you're going to make bets with OAPs, make them worth your while. 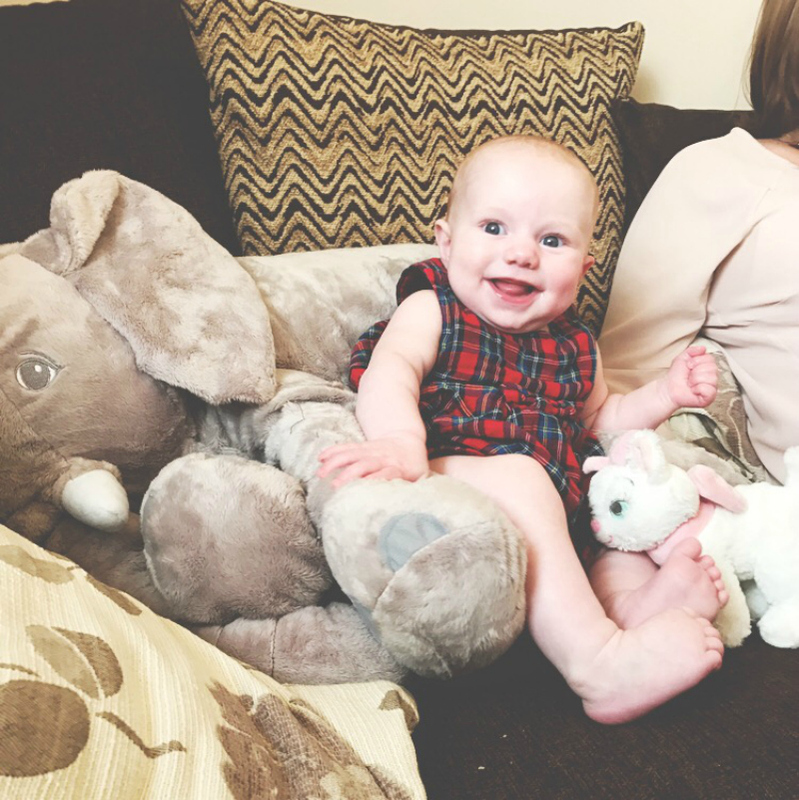 I caught up with my Dad's side of the family at the start of the month which meant holding a baby post-poo whilst her Dad got the changing gear, and setting my Grandma right when she got me mixed up with my Uncle Allan. After hiring a car at Bristol Airport, just don't ask, we drove up to Swindon for some BBQ food, a lot of gooey brownies and cuddles with my cousin's two littles. It was great. I came bearing Aristocat-shaped gifts because, at the age of nearly 25, I decided that my Disney toys would have a much better life with the girls than me. It was like the ending of Toy Story 3. Very emotional indeed. I gave Ava a couple of the bigger Marie toys and, luckily enough, I found a little dinky one in my stash that was the perfect size for Annabel's little 6 month old hands. I got a really sweet text from my Aunty the other day to let me know that Ava has been taking her cats around with her everywhere so my good deed was well-received. I decided to pull my most beautiful journal off the shelf and write up the poems that I've written so far within its pages. 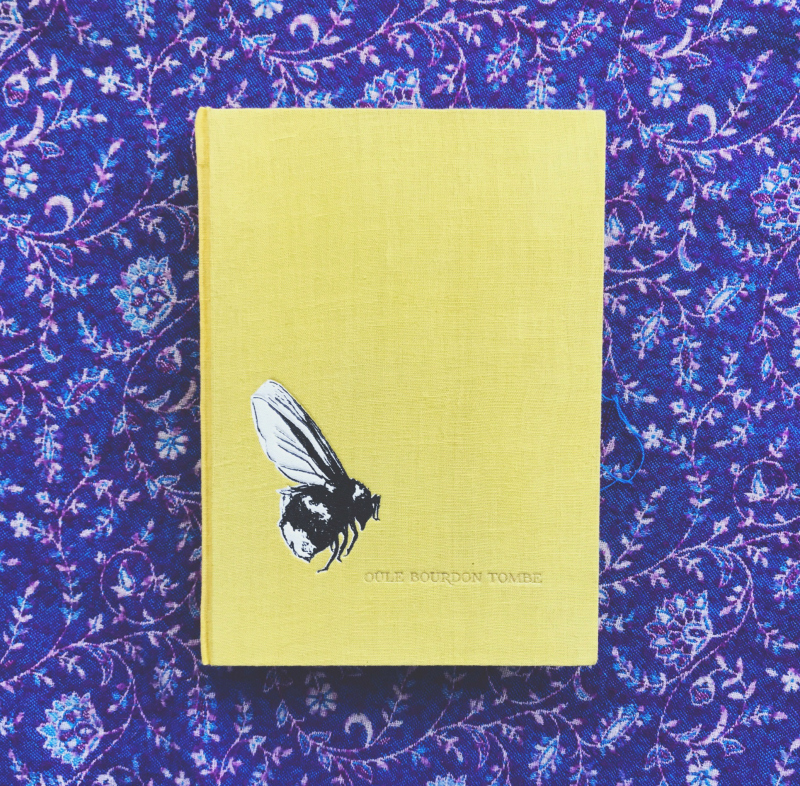 It has made me realise just how much I would love to physically hold a collection of my own poetry in book form one day. This journal, for those wondering, came from Anthropologie, like everything else that is beautiful in the world. 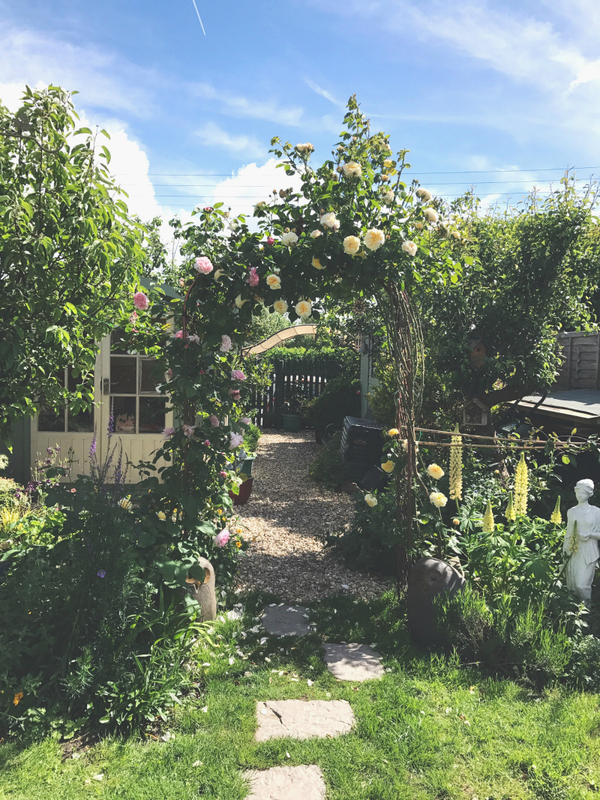 And those were a few of my favourite things in May! What have you been enjoying lately? 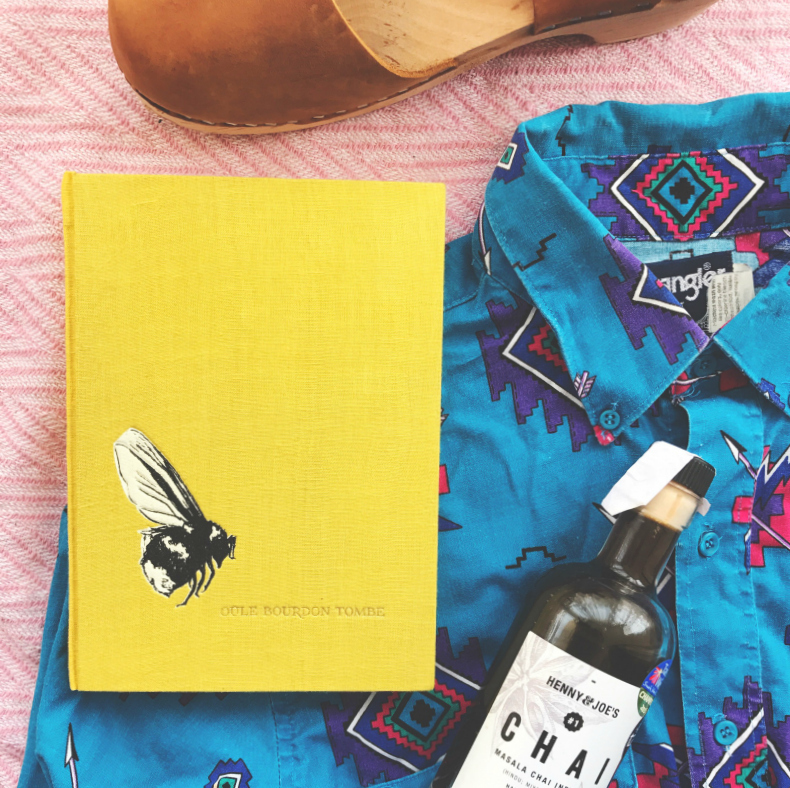 If you'd like to, you can scroll through a selection of my other favourite things. I can gladly report that I have also been stuck in that three song loop for some time too... I find it so hard to choose favourites from After Laughter though. 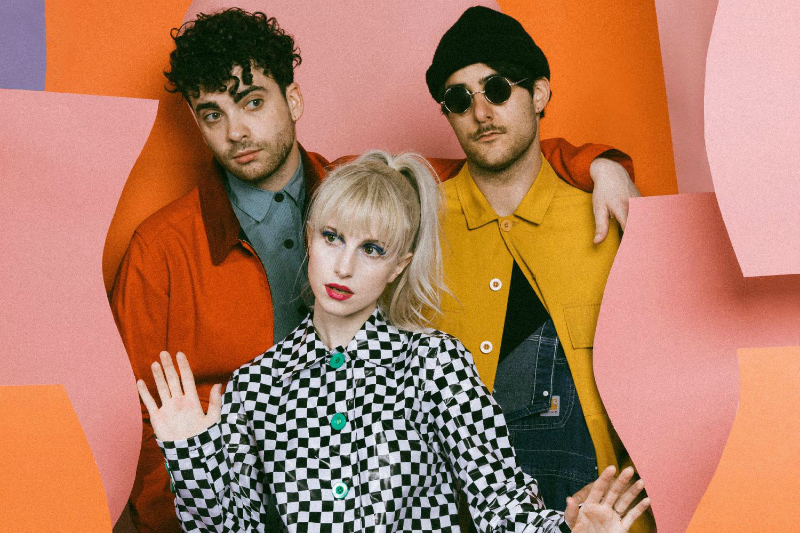 I'm repeatedly jumping back to Fake Happy at the minute, and Caught In The Middle has total No Doubt vibes - which I LOVE!